The art history brush tool lets you paint with stylized strokes, using the source data from a specified history state or snapshot. By experimenting with different paint style, size, and tolerance options, you can simulate the texture of painting with different colors and artistic styles. 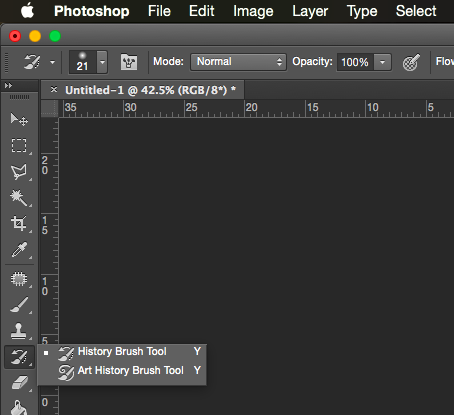 The most popular use of the history brush tool is to take a color picture, convert it to black & white, then brush the original color back into a particular feature. The artistic effect can be striking.